While a few folks seeking a starter credit card may already have a credit history from other types of credit, chances are the majority are simply looking for a good card to use to establish their credit history for the first time. If you’re of the former group and already have a good credit history, you don’t really need a “starter” card, per se. Instead, your credit will likely qualify for any number of prime cards, so find a quality rewards credit card and charge responsibly. On the other hand, if you’re in the latter group and are new to credit — keep reading; we’ve got some solid card options ideal for establishing and building your credit profile. You can find starter cards that are unsecured or secured, designed for students and businesses, and even cards that offer rewards on every purchase. Some of us like the full story; we want to know everything about a topic so we can make fully informed choices. At the same time, some folks simply want the executive summary, the gist of the story. If you’re just looking for the overall best starter cards to quickly narrow down your options, here’s the TL;DR on starter credit cards. This is, essentially, the epitome of the starter credit card. It’s unsecured, so you won’t need a deposit, and it has no annual fee, so you won’t need to pay just to keep the card in your wallet. Without a credit history, new cardholders will get a low limit, but paying on time for the first five months can unlock a larger limit. If you have the money to make a decent deposit, this secured card can be a wonderful credit-building tool. It has no annual fee, it offers purchase rewards, and you can set your limit through your deposit. Plus, Discover monitors your account and will automatically upgrade you to an unsecured card when you become eligible. 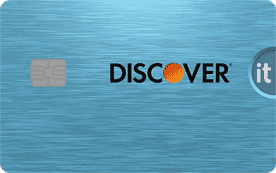 A lot of banks offer cards specifically for college students, but this option from Discover is one of the best. It has great purchase rewards, no annual fee, and the ability to earn a statement credit for getting good grades. Cardholders can even keep track of their credit-building progress with a free FICO Score report each month. The biggest hurdle most consumers will face when applying for their first credit card is the lack of credit history. Credit card issuers use your credit profile to determine how risky it is to lend you money; basically, they want to know how likely you are to repay what you borrow. Without a credit history, many issuers consider you to be a high-risk applicant. Secured credit cards can help reduce the risk to the issuer and make it easier to qualify for a credit card with no or limited credit history. That’s because secured cards require a refundable cash deposit to open and maintain. If the cardholder defaults, the deposit can be used to cover any outstanding debt. This allows issuers to offer lower rates and fees and better benefits without taking on extra risk. One of the few cards with the potential to be partially secured, this card has a tiered minimum deposit requirement that can vary based on your qualifications. 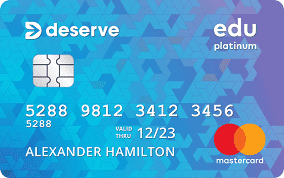 While the card doesn’t earn purchase rewards, it also doesn’t charge an annual fee, plus cardholders have access to a range of Capital One and Mastercard benefits like $0 Fraud Liability. One of the best secured cards available, this card offers both no annual fee and unlimited cash back on every purchase. Plus, users can earn up to 2% cash back on the first $1,000 in combined gas station and restaurant purchases. 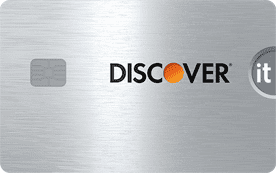 Discover will also monitor your account and potentially upgrade you to an unsecured card over time. 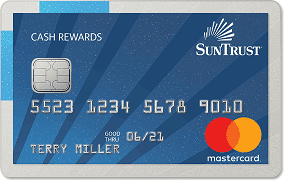 The SunTrust Secured Credit Card with Cash Rewards is an upgradable secured card with a low minimum deposit requirement of just $300 for a credit line of equal size. The card charges a small annual fee, but it also comes with cash back rewards that can help make up the cost. In addition to being fully refundable when your account is upgraded or you close your account with a $0 balance, the deposit you put down for this card will earn a small amount of interest while your account remains open and in good standing. One of the best times to start building credit is while in college, and not just because it can help you graduate with your credit profile already established. College students also have access to a number of student-centered credit cards specifically designed to help them establish credit. Student credit cards have flexible credit requirements that mean you typically won’t need any form of credit history to qualify. These cards also usually charge no annual fee, and most will even provide some type of purchase rewards. Additionally, many student cards allow you to include income from grants and scholarships on your application. This card is almost identical to the non-student version, including charging no annual fee and offering unlimited cash back rewards. Cardholders can also enjoy rotating cash back bonus rewards in purchase categories that change each quarter, earning 5% cash back on up to $1,500 in eligible purchases each activated quarter. Students who maintain a 3.0 or higher GPA will even earn Good Grades Rewards. Another option without an annual fee, this card offers simple cash back rewards with the same unlimited rate on every purchase. 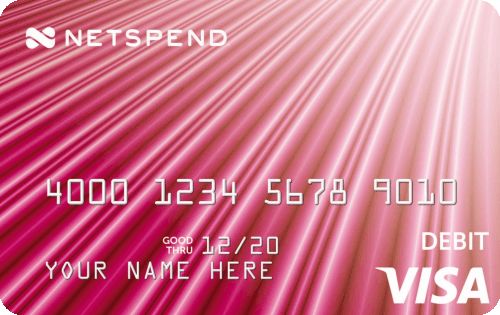 Plus, the card helps students learn healthy credit card habits by rewarding on-time payments with extra cash back. Similar to Discover’s other student card, this option is also very similar to its non-student counterpart. It has no annual fee and unlimited cash back rewards, as well as bonus rewards for up to $1,000 in combined gas station and restaurant purchases each quarter. Students who meet the GPA requirement will also earn Good Grades Rewards. According to the CARD Act of 2009, you must be at least 18 years old to qualify for your own credit card — but that’s not all. If you’re between the ages of 18 and 21, you will also need a verifiable independent income or a cosigner over the age of 21 to qualify for your own credit card account. For young people who would otherwise have trouble qualifying for a card due to income restrictions, cosigners can be a good way to not only get a card, but to get a good quality card. Keep in mind that cosigners are putting their own credit on the line, so be sure you can responsibly use a credit card before asking someone to cosign for you. 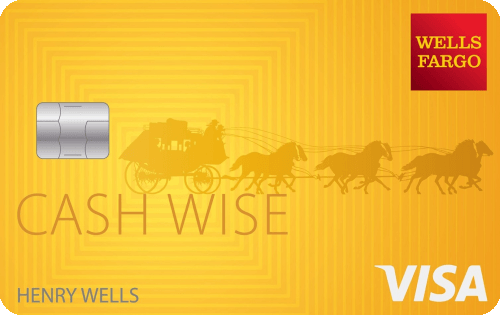 Wells Fargo is one of the handful of major banks that allow cosigners on credit card applications. This option is a good starter card that charges no annual fee in addition to offering unlimited cash back rewards that don’t require activating or tracking bonus categories. Cardholders even get mobile phone protection when they pay their bill with their card. 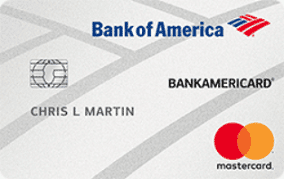 Bank of America is another major bank that allows credit card cosigners. The bank offers several good cards from which to choose, but this card is probably the best starter card option thanks to its lack of an annual fee and its straightforward, unlimited cash back rewards. U.S. Bank is the last of the major issuers that accept cosigners on credit card applications. 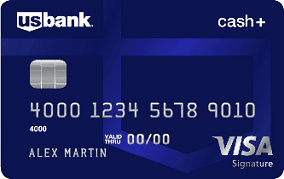 The U.S. Bank Cash+™ Visa Signature® Card is one of the best U.S. Bank credit cards to start with, as it not only charges no annual fee, but it also allows users to pick their own rewards categories. Cardholders can choose from a variety of bonus categories, including some that are rare for bonus rewards like furniture stores and fitness centers. Categories can rotate each quarter, or users can choose the same categories all year long. Legally, young people under the age of 18 can’t open their own credit card accounts, so applying for a credit card — with or without a cosigner — simply isn’t an option. Many card issuers will allow underage authorized users, so if you really want your child to have credit, you may be able to add them to your existing credit card accounts. However, if you don’t want to give your teen access to your credit lines, another good way to introduce them to using cards and managing money is to go with a prepaid card. As with credit cards, prepaid cards can be used to make purchases in stores and online, but, unlike credit cards, prepaid cards aren’t associated with a credit line, so they won’t impact your child’s credit profile. 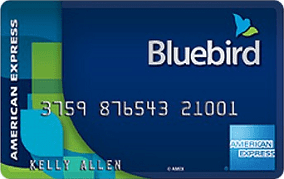 The Bluebird® by American Express is a good low-fee option, as it doesn’t charge a monthly fee or a transaction fee. Plus, cardholders enjoy fee-free ATM access at thousands of MoneyPass® ATMs around the country. Reloading is also free through direct deposit, mobile check capture, or by using cash or a debit card at Walmart. Cards can also be reloaded at additional retailers for a fee. 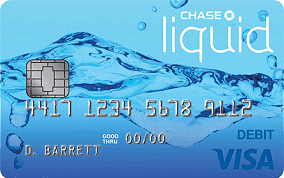 The Chase Liquid® Prepaid Card charges a flat-rate monthly fee for unlimited transactions. Cardholders can also withdraw funds for free at Chase ATMs. Adding funds is also free when done through direct deposit of a paycheck, government benefits check, or tax refund, or when funds are deposited at a Chase ATM, bank branch, or through the mobile app. Users can also transfer funds from an eligible Chase checking or savings account. Although often demonized, annual fees aren’t all bad. Some high-rate rewards cards more than make up for their annual fee in cash back or points, and when you get into the realm of top-tier travel rewards cards, the perks and benefits alone can be worth the annual fee if you can make the most of them. Of course, those high-cost, high-rewards credit cards are not starter cards. In most cases, there’s no reason to pay an annual fee if all you want to do is build credit. Many quality starter cards can be found that won’t charge you an annual fee just to keep them in your wallet, so you can build credit without it costing you a fortune. A simple, straightforward starter card, this option has no annual fee, no foreign transaction fees, and no penalty APR. You probably won’t get a five-digit credit limit, especially as a new cardholder, but making your first five payments on time can unlock a higher credit line, and Capital One is known for offering unsolicited credit limit increases on a regular basis. One of the few starter cards with no annual fee and cash back rewards, this is a good option for anyone who wants to earn while they build credit. Responsible card use can get you an upgrade to an unsecured product, and upgrading or closing your account with a $0 balance will get your full deposit refunded. This is a basic card without a lot of bells and whistles, but it’s a solid option for building credit. It offers the possibility of being partially secured to start, as well as offering an increased credit line — with no additional deposit needed — for making the first five payments on time. This card can also be upgraded to an unsecured card for most users. Long before you get your first credit card, you’ll likely read an article or forum post about how somebody got rich on credit card rewards. While this sounds like a great deal — who doesn’t want to make money just for spending money? — the high-dollar rewards cards aren’t for beginners. Not only do those cards require good to excellent credit to qualify, but you should also learn how to responsibly use credit cards before taking on big rewards cards with big annual fees. Of course, that doesn’t mean you have to skip out on rewards entirely. You can find some good starter cards that offer unlimited purchase rewards, giving you a lower-stakes way of trying out the rewards game. A no-fee card available to most applicants, this option is great for earning rewards on your everyday purchases, offering 2% cash back on up to $1,000 in gas station and restaurant purchases each quarter, plus unlimited 1% cash back on everything else. 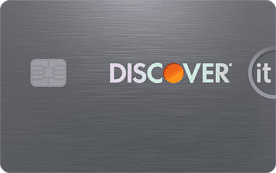 Discover will even match all of the cash back you earn at the end of your first year. This is a good option for consumers who want an unsecured starter card that offers rewards, as it provides unlimited 1.5% cash back on every purchase. However, it does come with an annual fee, so do the math to make sure you’ll earn enough in rewards to make the annual fee worth paying. A great no-annual-fee pick for students, this card earns the same cash back rewards as the non-student version, offering unlimited 1% cash back on every purchase and up to 5% cash back in rotating bonus categories that change each quarter. Bonus rewards are limited to the first $1,500 in purchases per activated quarter. Starting a new business comes with a lot of expenses, and qualifying for business credit can be a challenge when you’re just starting to build your company. Happily, many business credit cards don’t actually require you to have an established business credit profile to qualify for a business card. Instead, you can rely on your personal credit to prove to the bank that you (and your business) can handle a business credit line. Which is a good thing, as there are many important reasons to keep your business and personal credit separate — not the least of which is the really great rewards and perks offered by business credit cards these days. If both your personal and business credit profiles could use a little sprucing up or need a little more age, this card may be your best fit. It’s designed to be a starter card for small businesses, and it has some of the most flexible credit requirements of the business cards from major banks. Plus, it has no annual fee and offers cash back rewards so you can earn while you build credit. Business owners who have good personal credit should definitely explore this option, which has the whole package. Cardholders can earn up to 5% cash back rewards on eligible purchases, enjoy a big signup bonus for meeting the spending requirement, and even enjoy an introductory APR deal to help keep interest costs down as you build your business. And, that’s all with no annual fee. If the idea of a no-fee cash back card appeals to you, but the idea of tracking bonus categories does not, then this card may be for you. You’ll get a solid signup bonus, unlimited 1.5% cash back on every purchase, no categories required, and an introductory 0% APR offer on new purchases. Keep in mind you’ll need at least good personal credit to qualify. One of the biggest challenges faced by students and immigrants coming to the U.S. is establishing and building credit, especially because credit profiles from other countries aren’t generally accepted by U.S. creditors. Adding to the issue is the fact that the vast majority of cards will require a U.S. Social Security number just to apply. In general, the nature of your visa or immigration status will determine whether you can qualify for a Social Security number or ITIN (Individual Taxpayer Identification Number); if you can qualify, this is likely the best route to take. However, a handful of credit card issuers will approve some applicants without a Social Security number, but it will often vary on a case-by-case basis. A good option for students of all types, this card will require a U.S. Social Security number as a part of the application process, but it has no minimum credit history requirements. Approved applicants can look forward to a solid credit-building card, with no annual fee and competitive purchase rewards. Bank of America is one of the few major banks that reportedly allows potential cardholders to fill out an application without a Social Security number, but you’ll need to head into a local bank or call customer service to do so, as you can’t complete the form online. The BankAmericard® Secured Credit Card is the issuer’s primary starter card, and it will require a deposit to open. While it does have an annual fee, this is a no-frills card, with no purchase rewards or signup offers. But, the card’s availability to applicants without a Social Security number and lack of a credit history requirement may trump its lack of features for some consumers. The Deserve Edu Mastercard® is ideally designed for foreign students who need to build credit in the U.S. while attending college. The card doesn’t require a U.S. Social Security number, nor does it require any previous U.S. credit history. As an unsecured card, this option doesn’t require any form of collateral or a cash deposit to open. Applicants will be expected to provide details about their college enrollment when applying for this card. A few decades ago, applying for a new credit card was a long process that involved a lot of waiting by the mailbox. These days, you can apply for nearly any credit card easily online, and most applications will receive a decision almost instantly. If you’re applying for a specific type of card, like a student credit card or business credit card, you may also have to provide answers to additional questions, such as the school in which you’re enrolled or your company’s annual revenue. Once you’ve filled out the required information, you’ll be presented with the card’s terms and conditions, as well as the issuer’s required disclosures. You should at least skim all of the documents you’re presented with to avoid future surprises. After you submit your application, the issuer’s decision algorithms will go to work pulling your credit and evaluating your risk. In most cases, you’ll get a decision after a few minutes. Occasionally, the bank needs to confirm information in your application or ask for additional data, which may mean you’ll need to call before you can get a decision. Do You Need to Be a Student for a Student Credit Card? Any list of the best starter credit cards is likely to include at least a few student cards, for multiple reasons, not the least of which is that many people just starting to build credit happen to be in college. Student cards also tend to have lower fees and better perks than other starter cards. Given their value, it’s understandable to wonder if you can start out with a student card — even if you’re not a student. Unfortunately, the vast majority of student credit cards are only available to actual students who are enrolled in an accredited college or university. Some student cards may accept other types of schools, like technical schools, as an acceptable educational institution for the purposes of qualifying, but that may vary based on the issuer. If you’re not a student of any type, however, you’re most likely not going to be eligible. What’s the Difference Between Unsecured & Secured Cards? As you may have noticed while browsing our list of top cards, credit cards come in two main types: unsecured cards and secured cards. Both types of cards can be used to make purchases, both online and in-store, and both cards can have revolving balances. In fact, there is only one real difference between a secured card and an unsecured card: the deposit. Secured credit cards require a cash deposit to open the account, and that deposit must remain in a secured savings account the entire time your secured credit card account is open. A fully secured card will have a credit limit exactly equal to the size of the deposit. A secured card that offers a higher credit line than can be covered by the deposit is said to be partially secured. So, unsecured credit cards are basically any credit card that doesn’t require any form of collateral or deposit. While unsecured credit cards are appealing because you don’t need to fork over a deposit, they’re also a greater financial risk for the credit card issuer than secured cards. 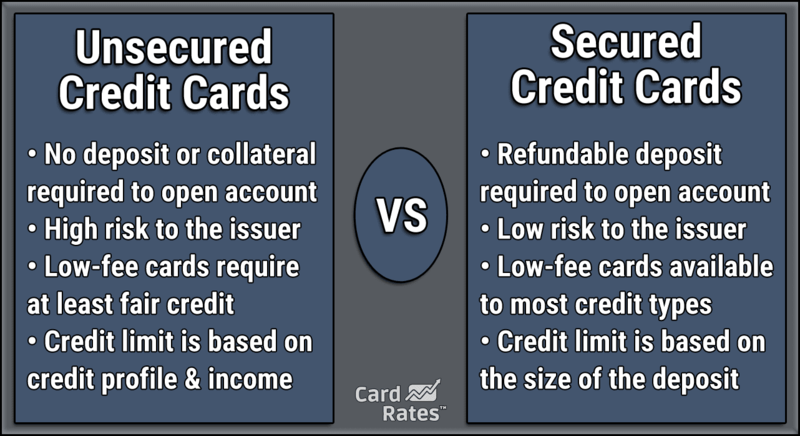 So, when it comes to a starter card, secured credit cards will typically have lower rates and fees and better rewards than unsecured starter cards because of the reduced risk. As you go through our list of top starter cards, it may occur to you that we didn’t put any store credit cards on the list. While this may seem like an oversight, it’s actually for a good reason: store cards make poor starter cards. In addition to being a good tool for establishing and building credit, your first credit card should be a learning tool that prepares you for responsibly handling other credit products in the future. Store cards, however, are rife with limits and restrictions that reduce their usefulness in this regard. First off, most store credit cards — at least, the ones that are the easiest to get — are closed-loop cards, meaning they can only be used to make purchases with the brand that issued it. So, if you get an Express Credit Card, you can only use it to make purchases with Express. And it’s the same with the rewards; rewards you earn with your Express card can only be used toward Express purchases. A good starter card should be open-loop so you can use it to make purchases you’d be making anyway as you build credit. Closed-loop store cards encourage you to make purchases you may not have made without the card, especially if you’re trying to use the card regularly as you build payment history. Additionally, store credit cards tend to have remarkably high interest rates, meaning carrying even a small balance can get expensive in a hurry. In fact, most store cards charge interest rates that are comparable only to subprime credit cards that are designed for consumers with bad credit. Even without a credit history, you can usually find open-loop cards with lower rates. What’s the Best Way to Build Credit with a Credit Card? Once you have your first credit card, the trick is to use it responsibly so you can get your credit history started on the right foot. If you don’t need the card for everyday purchasing, the simplest way to build credit with a credit card is often to automate the process. 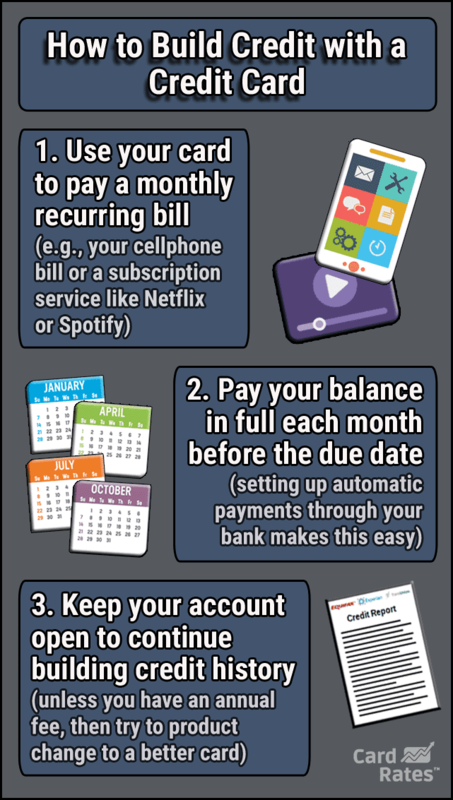 Basically, you can use your new credit card to automatically pay a small monthly recurring bill, such as a cellphone plan or a subscription streaming service bill. Then, go into your online banking account to set up automatic credit card payments, ensuring your card is paid in full each month before the due date. With everything automated and your balance paid in full every billing cycle, you shouldn’t have to worry about your credit card payments ever being late or being charged interest on your purchases. After six months, you’ll have enough payment history to qualify for a credit score. And, after about a year of building positive payment history, you should qualify for any number of great prime rewards cards. If you’d prefer to use your card more regularly, you can still take advantage of things like automatic card payments, just be sure you keep an eye on your balances so you don’t overdraft. Additionally, be sure to keep your balance low relative to your credit line — i.e., avoid maxing out your card — as this can negatively affect your credit score. Regardless of the method you choose, always, always, always make at least the minimum required credit card payment before your due date each billing cycle. Your payment history is 35% of your FICO credit score, and late payments can cause lots of credit damage, especially when you’re just starting to build credit. Should You Pay an Annual Fee to Earn Cash Back or Points? One of the most common factors you’ll need to consider when looking for a new credit card — no matter how many cards you have — is whether any given card is worth paying an annual fee to own. Outside the subprime card realm, most credit cards with annual fees charge the fee to help pay for purchase rewards or other card benefits. This means you’ll need to — objectively — look at the real value of what the card offers you and your spending habits. For example, consider hypothetical credit cards Card A and Card B. Card A offers 2% cash back and has a $50 annual fee, while Card B only offers 1% cash back, but it has no annual fee. In this case, whether it is worth paying the $50 annual fee to unlock a higher rewards rate will depend entirely on how much spend you put on the card. 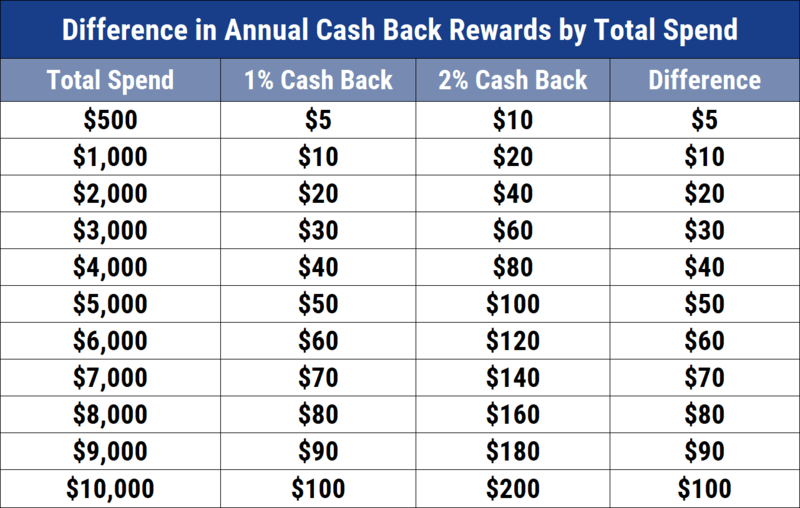 As the table below shows, Card A definitely earns more cash back, but, when you subtract the $50 annual fee from your earnings, the rewards from Card B actually come out ahead until the point at which you reach $5,000 in spending. So, if you’re a light spender who won’t use your card much, you’ll actually be better off with the lower rate and lower fees of Card B. However, if you know you’ll use your card frequently and will likely put more than $5,000 a year of spend on the card, then Card A may present the better value, even with an annual fee. Of course, this is often the simplest case. Credit cards that offer additional benefits, such as hotel status or travel credits, can make the math more complicated, as can cards that waive the annual fee for the first year, offer a signup bonus, or have an introductory 0% APR offer. Be sure to consider all of the factors when making your decision. An important thing to remember about starter credit cards is just that: They’re for starting out. It’s important not to get caught up comparing entry-level credit cards to the big, fancy, rewards-rich cards available to more established cardholders. If the options are simply not appealing and you’re considering trying to build credit without a credit card, good news — it’s entirely possible to do so. Most credit products, including personal, auto, and student loans, can be used to establish your credit profile and build your credit history. That being said, credit cards are generally the easiest and most affordable way to build credit. That’s because any loan will have interest fees, and most will also have origination or administration fees, while credit cards can be used entirely for free, when used responsibly. Furthermore, choosing a good starter card can do wonders for your long-term credit-building, especially if you get a card with no annual fee. You’ll be able to leave the account open indefinitely, which means your credit history will age along with your card account. Since creditors like to see long credit histories, older accounts are nice to have on your reports.